We were lucky enough to play a round of golf at True Blue recently with a friend who is not from the area so I decided to show him around the town after the round. Myrtle Beach is well known for great entertainment and nightlife and considering the night was still young, we swapped golf shoes with our drinking shoes. I selected Broadway at the Beach as our first destination because I know it is one of the heaviest populated areas , especially during the summer season. We jumped from bar to bar making stops at Senor Frogs, Rodeo, Club Boca, and finally Revolutions. For those of you who enjoy dancing I would recommend any of the aforementioned. If you are looking for more of a fine dining restaurant or just a place to sit back and enjoy the scenery after a long day of hitting the links then one suggestion to you would be Barefoot Landing in North Myrtle Beach, SC. Stretching along the Intracoastal Waterway, my favorite stop after a round of golf is Greg Norman's Australian Grille. 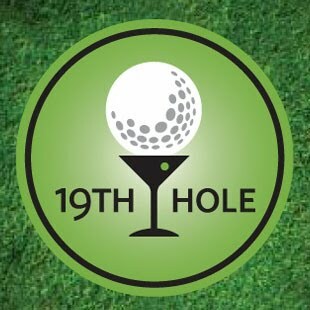 Their extensive menu including a variety of cuisines, and the cold draft beer make this restaurant one of my favorite 19th holes! The Grand Strand may be known but for its championship golf courses, but the entertainment and nightlife is right up to par too. If you haven't had the opportunity to experience it then I highly recommend getting out there and discovering some of these hidden gems in the Myrtle Beach area! Myrtle Beach is well known for great entertainment and nightlife and considering the night was still young, we swapped golf shoes with our drinking shoes.